mainly music at St Marks has been going since September 2015. Sessions are held every Wednesday morning in term time. 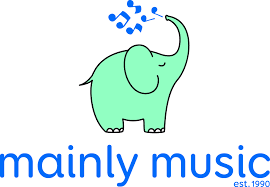 mm is a music and movement session for pre-school children from babies to 4 year olds with a gentle Christian emphasis. Parents and carers are encouraged to join in with their children for a half hour session from 10-10.30. From 10.30 the children have juice and biscuits and parents are served coffee and cake. mm is great fun and has been very popular since its launch. Cost is £2 per session. The room is accessed from the Chandos Street entrance. Come along and give it a go, you will be made very welcome.